I love flipping through old photos, even the embarrassing ones that prove that I was a part of the hairspray your bangs into the tallest wave possible phenomenon... what was that all about??? Waking up 15 minutes early so I can sit there, one hand holding the dryer the other hand holding a can of Sebastian Hairspray [cringe]. To me, photographs are just like songs that transports you back into a specific scene in your life. So when I heard Matt's work described as "walking into a memory", I was all ears. The Ace Hotel, a Seattle based hotel brand commissioned 50 to 60 local artists to help outfit the rooms of their first east coast outpost with wallsized works of art. 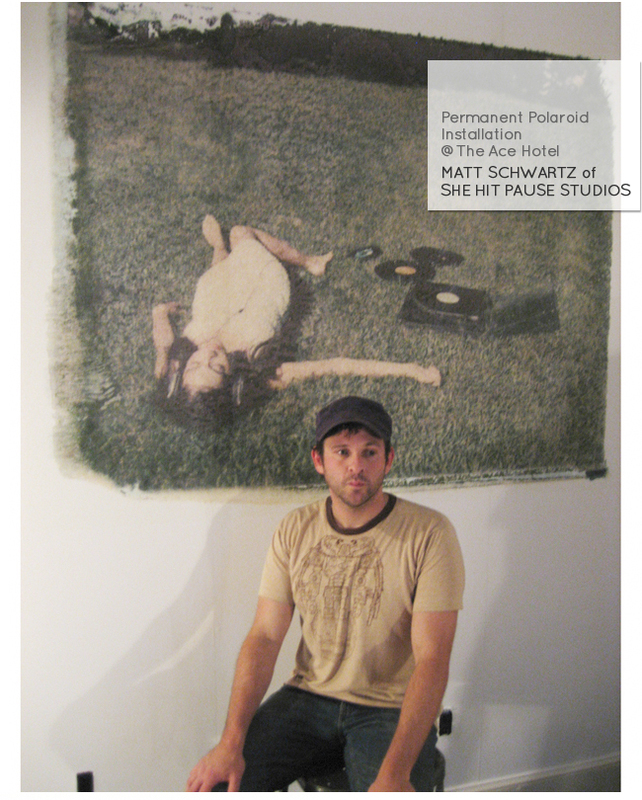 Amongst these artists was Matt Schwartz of She Hit Pause Studios, who recently transferred a 10ft x 10ft Polaroid directly on to one of the hotel room walls to become part of the Ace Hotel’s permanent “collection”. 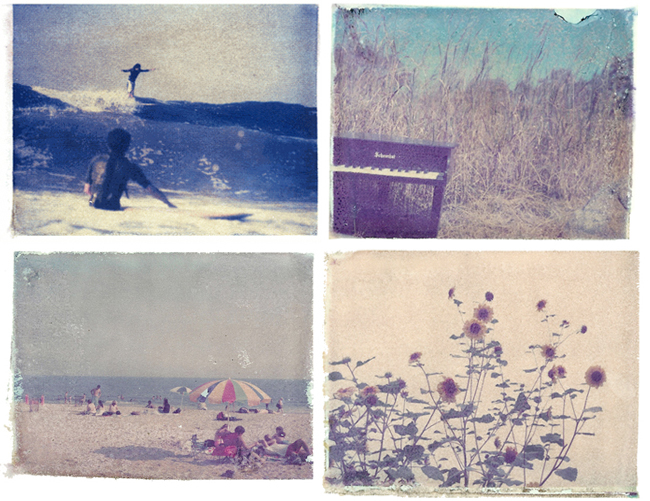 With photographs that look like a memory, textured, weathered and whimsical, you don’t have to live an image to love it. To take a picture is to hit pause on a moment forever. That’s the inspiration behind Brooklyn-based She Hit Pause Studios’ nostalgic and winsome life-sized Polaroid transfer of “records in a field’ at the the Ace Hotel. These were shot in large format Polaroid. The print was pulled apart and the film negative was rubbed directly onto the wall to create a transfer. incredible, love the scale, i need to go see them in person. they are at the ny one? They're brilliant, what a great concept.